Over the summer, Josh Yates joined us at the Nickelodeon as our first-ever Filmmaker-in-residence. Fresh from getting his MFA in Film & Video Production at the University of Iowa, we sat down with Yates to talk about his post, which includes making a film to premiere at 2016’s Indie Grits festival, teaching the after-school program Come Around My Way, and curating a public film series. Origin story: born and raised in Fayetteville, North Carolina. Grew up with a camera. I didn’t have my own until I was in high school though. My mom bought me one as my last birthday present, but I was always around them. My friends had them or we would borrow from parents, just documenting my surroundings and the everyday. Hanging out with friends. We would take those and either hook up, like, a minidisc player—I don’t know if you ever had one of those when you were younger. It was a very brief thing, pre-mp3 player, somewhere between a CD player and the mp3 players we have now. We would play the footage and use an RCA to make a soundtrack to what we shot that day. And then that evolved into making these compressed clips, usually to a song, almost like a culture music video. It was very similar to Jackass and stuff. 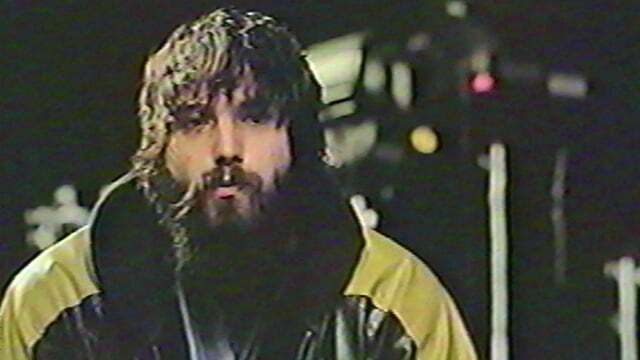 A lot of it was influenced by CKY and that viral-video stunt genre, and skateboarding. Did you have editing technology? We would just play a tape through the TV and sync up minidisc songs. Eventually my friend Jay and Eric’s mom bought Pinnacle Studio, which was a pretty basic editing program. That’s when we started to remix and craft our own— I don’t know if they were stories, they were just highlight reels of the everyday, made more interesting, cutting out those boring bits. I developed some decent technical skills through middle school and high school. I thought I would probably use those in some sort of way, in the adult life, as a child. But I was thinking of news editing, news shooting, very practical stuff. So you were into non-fiction film from the beginning? Yeah. I honestly didn’t watch very many films, quote-unquote. I mean, I’m sure I watched a lot of cartoons as a kid. Not much that I can really remember. But I did watch a lot of music videos, a lot of MTV After Hours and BET Uncut. That’s very vivid. The film experiences I remember were having a VHS tape of Space Jam that I would watch every night, and eventually memorized. And I remember seeing Kids, um, very early. A friend brought it over and we watched it. Probably too early. I think it’s funny that Kids and Space Jam are the two things I remember because they’re pretty drastically different. In undergrad, I saw the short film “An Occurrence at Owl Creek Bridge.” It’s based on the Ambrose Pierce—or is it Ambrose Bierce? [ed. : It’s “Bierce”]—short story. That was an eye-opener because the way that film plays with time, and mixes the aesthetics of fiction and non-fiction . . . I don’t think I understood at the time why it was so eye-opening for me, but when I was thinking about it today, that’s probably what drew me to it. It’s still what I’m interested in. Complicating that distinction. And then I started taking any production courses that were offered. We had a Film Studies minor, basic production courses, but I worked with a lot of the people at the Art Institute of Charlotte and crewed on their productions, too. I did it long enough that I got some freelance opportunities. I got lots of hands-on experience, coupled with lots of film history classes at UNC Charlotte. I accidentally got an American Studies minor because I took so many. A class on Akira Kurosawa, Hitchcock, American independent cinema, European film, I think the other one was German cinema? When you have the historical context and then watch the film, that’s really fascinating. Eventually I decided to go to grad school, get an MFA. I did that in Iowa. One of the reasons I wanted to go to Iowa was because they had a great financial aid package and also they offered immediate and important teaching experience. You get three years of essentially teaching alone—it’s not just like a TA, grading papers. You teach by yourself and design your own classes after your first year. At the time I was thinking it was a great skill set to have if I ever wanted to teach, and while I was there I realized I really enjoyed it. It wasn’t something that felt like work. It was just a great way for me to spend time with other people, reassess how I do things, and also try to make filmmaking accessible to other people. I really fell in love with teaching while I was there, and I focused all my electives on the Graduate Certificate in College Teaching. So I got two pieces of paper while I was there. So you go to Iowa, you graduate, and then you have a residency here. What’s the intermediate step? While at Iowa, I met Georg Koszulinski, who is deemed the Cal Ripken Jr. of Indie Grits because he’s been in it every single year. Georg is from Florida. We were two people from the South in Iowa, and connected in that way. We also have similar tastes, I think. It was Georg’s last year and my first year, so we spent a year together there. I went to Haiti and Haida Gwaii with him on film shoots. We’re documentary collaborators. He told me about Indie Grits, I got in in 2013. That was the first year I got to meet everyone. Our department offered travel grants, and I was a graduate student, broke, I didn’t have the money for a plane ticket myself, but thanks to those travel grants it was my way to escape. My April escape for three years: 2013, 2014, and this year. Seth [Gadsden, Managing Director] called me in January of this year saying a residency was something they were thinking about, just to see if I was interested, and I was like, “Yeah, of course.” When I got down here, it started to become a real thing, which is exciting. It was this crazy awesome idea that didn’t really seem real until I actually got here. I’ve only been working here for two months, but it’s been great. It’s a really ideal set-up coming straight out of school, to be back in the real world. I’m not from South Carolina, I’m from North Carolina, so to be, in a sense, back home, and doing something that touches on all the areas I’m interested in is dope. I’m actively making something, getting to teach, and curating films. You spoke about documentaries as a way of seeing your surroundings, and your after-school program is focused on non-fiction filmmaking. How do you see documentaries as a form and a genre helping someone to understand their surroundings in different ways than fiction filmmaking? Documentary offers voice, and inevitably it’s your voice because you’re the person who’s delivering the story, whatever it may be. It could be your voice and your story, and it could be your voice telling someone else’s story and therefore giving them voice. I think the recent explosion of documentary film is a moving-away from this idea of a universal, definitive truth, and people realizing the value and necessity of these individual truths. I really like films like The Thin Blue Line. I’m surprised we’re just now getting to the individual, subjective truth coming to the forefront. But I think that’s also directly tied to how accessible moving imagery is now. Everyone has cell phones, Twitter, and Instagram. I think that’s related in some way. It’s filtering into the movie proper as well. I’m always trying to anticipate and figure out what the next thing will be. I do think it’s a move away from universal truth to subjective truth, or any personal interpretation of truth or an event. I think people are seeing the value in that. More so than they used to. Everyone’s questioning and re-questioning. I think that’s fascinating, and powerful. I think it’s interesting the way that experimental documentaries are playing into this because they seem hyper-authentic but also more distanced from a direct authenticity. One of the ideas around experimental documentary-making is that it puts at the forefront this creation of the film as an object. You’re sitting there watching the movie, it’s doing all of these particular things that are filmic rather than a talking-head interview, which might as well not be a movie. And so that connects you to the filmmaker but also you see your distance from them as you’re stuck with this film object. But in another way it’s more truthful because you are watching a movie. A talking-head interview is kind of a lie. Unless you just put the entire interview up in a long take, but even then there’s no such thing as an actual truth. That’s why Errol Morris is so great, he’s always getting in the way of his own interviews. Yeah. Something I’ve been wanting to explore is doing interviews without visuals and only audio, not even having a talking head. Crafting all the visuals around an audio interview, that’s something I want to play around with a little. I want to experiment with crafting audio first and then visual, without having to worry about sync-sound or anything, and then generating the visuals afterward. There’s the theory that sync-sound ruined film for sixty years. Oh, I’m a pretty firm believer it set it back. You watch the early films with mics—because visual technology was well ahead of audio technology—and you see people performing, leaning-in. Like toward a little flower pot with a mic in it. Yeah, and to me, that’s just absurd. I’m a visual-first person. People watch a film with bad imagery and good sound, and something’s wrong. Film is persistence of vision, movement. The sound is something that comes later. I still try to forefront the imagery, for sure. That just doesn’t hold true for me, that sound is as important as image. It’s crazy to think about if sound was introduced way later than it was. Film didn’t even know what it was when sound was introduced. I think it complicated it in a bad way. I think that’s why I’m drawn to music videos. The music is the music, and it’s my visual interpretation of the song. It’s a privileged position and a position I’m proud to be in when my visual interpretation is what exists for this song forever. Now, it’s very likely that it could be remixed because people re-edit videos almost as soon as they’re released, but I do see music videos as the most commercialized form of experimental video. They allow for some very crazy, very ballsy stuff. Yeah. It’s been that way, and it’s weird that music video is the only art form that’s judged by its ratio of bad work to good work. It’s dismissed because there are a lot of generic, bad music videos, and therefore it’s dismissed, especially in academia, which is where I had this experience of having to argue for its relevancy. Which to me was absurd because clearly music video has this history. Some of our best directors come out of it. Yeah, this history of experimentation and being this breeding ground for directors and techniques. Visual techniques or editing techniques that are introduced in music video get seeped up into the mainstream and they go into commercials, feature films, other music videos, etc., etc. When you really start to think about it critically, you realize how multidimensional and multifaceted music video is; because how do you talk about it? Do you talk about it from just a purely technical point of view; how you shoot, edit—and deconstruct that? You can talk about lyrical meaning, so it becomes about singing-songwriting. It’s really hard to understand a video if you don’t go into the idea of celebrity as well. I think Communication Studies is probably the best umbrella that it’s under, or that I could put it under. Do you have favorite music videos? This maybe does and doesn’t count, but going back to experimental film, Kenneth Anger: the way he uses music is a lot of times very music-video-esque. I don’t know where the line is sometimes. Maybe it’s how you classify it, but “Rabbit’s Moon” is essentially this music video that plays twice. But it’s an experimental film. It plays the song through two times, the exact same song, and it almost loops the imagery. The first time I saw it, when the song starts up again, I was just really excited. And I still am, every time I watch it. And “Scorpio Rising,” that whole thing is just images set to music. Jumping way forward, I like Kanye West’s “Runaway” because it’s thinking about music video in a different way, as opposed to this self-contained three-minute thing. That long-form interpretation, I was really into. Almost all of the movies in your curated series have some sort of music-video-like scene. How did you choose the movies? How do you see these relating to teaching, making, and showing this series to a general viewing public? Overall, these aren’t my top five favorite films by any means. I like a lot of different stuff. I probably like more stuff than I dislike because I have so much respect for how much effort and time it takes for any film to exist. It’s very hard, and you gotta be a certain type of person just to follow through. I started with a list of stuff and I was thinking of how to distill it down. The films I ended up with were ones that I rewatch a lot, for whatever reason. The reasons are kinda different from each one to the other. They are ones that I felt could play to strangers well, because this is a business. I like some really out-there stuff, but I doubt we could get people in the door. So it was things I felt like people would want to revisit or things that, if we got them in the door, they would feel like they were exposed to something really cool and not feel like they wasted their money. 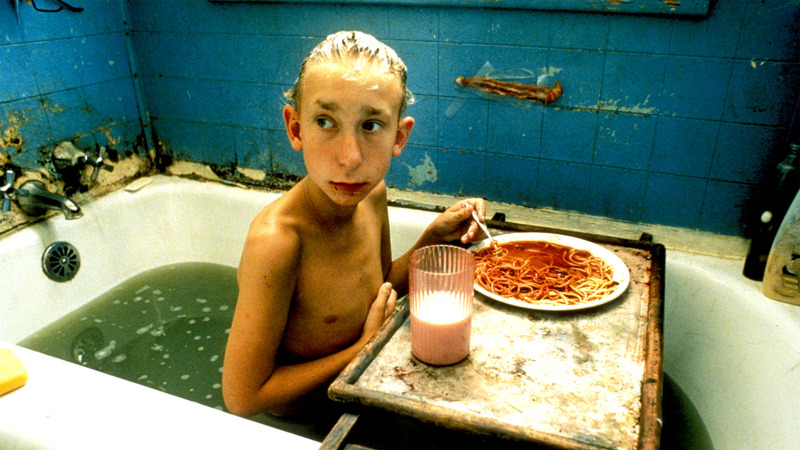 Gummo is just this fresh Southern portrait that I probably watch once a month. It’s this reminder of all the possibilities, and Harmony Korine is a master who uses his mastery to subvert form, or try to reinvent form, as opposed to being a master just to do what everyone else is already doing. Every time I rewatch it, I notice something new, or am always re-inspired. Is that the only movie you watch once a month, or are you an obsessive watcher of all movies? It’s been hard recently because I’ve been so busy, but I try to, and I’ve been trying to watch more short films. I think you see people studying long-form and then trying to make short-form, as opposed to just treating short-form as its own thing, so I’ve been trying to study short-form form. That’s also helped me out with my schedule. An hour and a half or two hours seems like it takes up much more time than it used to. But Gummo is something that I always rewatch. 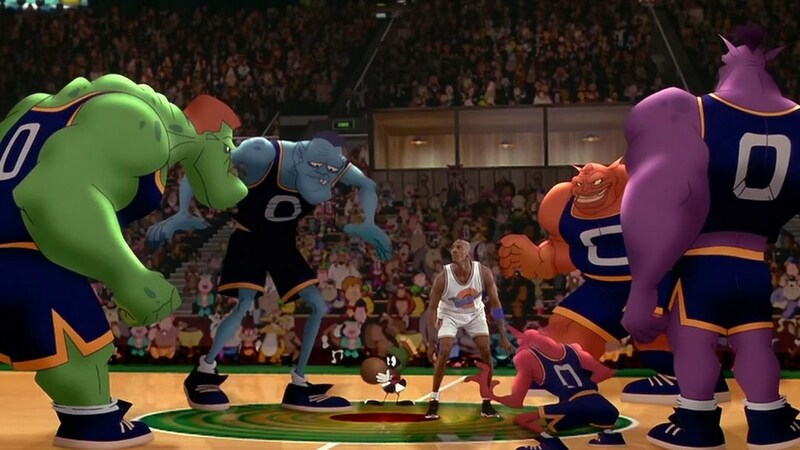 I watch Space Jam pretty frequently. I might be the first person ever to put those things side by side, for no real reason other than that I meet people whose interests all seem really convenient. Or very well-shaped into something what I think is what they think other people think it should be. Or that based on what you make, you should like certain films and they should all neatly fit together. Like the self is curated rather than an external thing. Yeah. And I legitimately like Gummo, legitimately love Space Jam. If anything, I’m trying to complicate the idea that your tastes need to fit neat neatly into this gift-wrapped box that makes sense based on what your films look like, or your images. 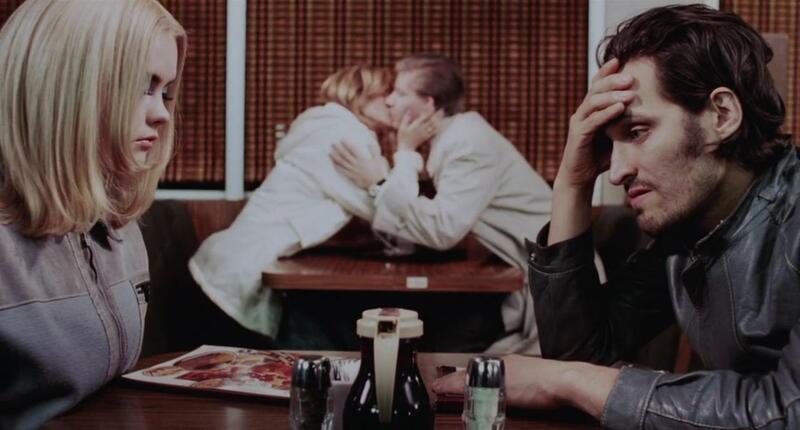 Buffalo ’66 is seeing a person make a film how they think it should be made who isn’t necessarily a filmmaker. He does a little of everything, but he’s a model first, and then a musician and everything later. His character in that movie is very easy to hate, but you’re so drawn to it, maybe because you hate it so much. Have you seen it? It’s pretty fascinating. To where you can’t tell if you love or hate the person, but you keep watching anyway. And it just has its— the film has its own pace, and it’s doing its own thing completely. Which is really great. So did you pick Werckmeister Harmonies because it’s the shortest Bela Tarr? Yeah. That’s definitely the riskiest one. Definitely. But I figured that’s why number four was the best slot for it: getting all the momentum going to where someone would take a risk, maybe, just because I picked it, it’s part of the series. Even if they hate me, American Movie is such a redeeming choice. I’ve never met someone who doesn’t like that movie. Werckmeister . . . I’m a huge fan of slow cinema, and cinema that I think is smarter than me, and that film definitely qualifies, and it’s one of the films that sort of moves me in a way I don’t understand yet, and to me that’s pretty exciting. The Revelator, which is this 1960 film by this guy, Philippe Garrel, it’s an hour long and there’s no sound, it’s all visual. That’s another one I’ve watched a lot. I watch it, become enthralled by it, moved by it, but I really don’t understand it. And that’s, I think, amazing. I think I’ll understand it one day, maybe, or have an idea, if I don’t understand it. That’s where Werckmeister Harmonies falls for me. If you did understand it, would you ever watch it again? Yeah, I think it’d become something I would teach with and share, where I feel like I understand and can offer a valid interpretation. I don’t think I would teach with any of these films. I wouldn’t know how to teach it. I enjoy them, and I watch them and talk about them, but they’re kind of hard to teach or explain because they’re so individual. Any written thing about them or any sort of conversation about them doesn’t do the justice of experiencing them. Maybe. That’s why I’m more focused on why I like them. I don’t know if I necessarily want to have a post-screening Q&A so much as just talking about it in person in the lobby afterward. I don’t really want to guide a Q&A because, like, Gummo, someone can watch that and fall in love with it and be entranced by it, but someone could also just think it’s offensive and disgusting, but they’re both equally right. I don’t want to take the stance if someone asks me to defend the film. If everyone likes a film, it’s probably not a good film. It’s not really doing what I think cinema should do, if every single person likes it. Ideally, cinema polarizes. And then, lastly, American Movie because that’s just a great reminder of the stresses and the labor involved with filmmaking. I think that’ll be around the time I finish up my Indie Grits project, so I think, for me, it’s really timely. The last shot in the arm. And that one plays so well. It holds up. It’s dark comedy at its best, I think. Dark comedy becomes weird when it’s a documentary. Yeah. I’ve watched it where I thought it was hilarious, and I’ve watched it where I was much more sad. Again, things changing over time, it’s very interesting. American Movie looks alternately like a cautionary and aspirational tale for how to make movies. Does your filmmaking practice look like that at all? For me, films are more about process than product: the process of trying to make something, and the final film being this way to trigger your memory of the entire process. That’s what I believe in. So you’re always making films that aren’t necessarily for other people. If, when you start out, you go, “This is for someone else, for this audience,” I don’t know, it becomes this thing that I’m not too interested in. You burn out on or are let down by it pretty easily. There’s a very definitive fail-succeed binary that happens. Whereas if you’re just like, “I’m curious about this, I want to explore this,” and then explore yourself and your neighborhood, if it starts out with curiosity and you filter it through this image-making platform, you’ll have documentation of the entire thing and also this little neatly-edited final version of it as a keepsake. I’m also a big believer in goal-setting and reflection, so, again, “I’m curious about this and I’m going to explore it, and these are some of the technical things I want to try to work on.” And then looking at your initial reason for doing something, coupled with the final film, then writing a reflection so you know how to move forward. That’s something I do myself. I think until it becomes a habit, reflection, actual written reflection, just seems like busy work, taking up your time. But it seems busy because people write a reflection and don’t go back to it a few months later, you know what I mean? Communicating with past and future versions of yourself is important. I do a lot of reflection, a lot of revisiting of writings or films. I had to develop the habit of watching stuff I’d made because I was such a forward-moving person, blazing a trail and not looking back. When someone asks, “What kind of films do you make? How would you describe your work?” I’m still not very good at answering. I thought, “Oh, it’s because I don’t reflect enough.” It’s become part of my everyday process. It also helps you identify themes, when you reflect on them. You shouldn’t identify themes and then go make something. Work at it on an intuitive level for a while and then go back. “Oh, wow, I do have an obsession with masks and mortality and things like that.” Those are things I didn’t really think about, but those things are all threads throughout the stuff I made. Cultivating discipline instead of motivation, I think is important. Not only yourself but in other people who want to work creatively. I think it’s a romanticized idea that you’re just sitting there and something hits you and you create and wait for the next moment. I think it’s not really how it goes, especially when you’re weighed down with a bunch of different stuff. If you wait for motivation, it’s never gonna come. So just incorporating that sort of reflection or brainstorming or that creative act into your everyday, so that it becomes like a habit I think is important. Is there anything you feel about your residency that you want to get out there that I don’t have a direct question attached to? I’m genuinely excited just to be here. I think I’m in a privileged spot and I’m trying to make the most of it. I’m really glad to have not only the opportunity to work with kids but curate films and make a film. If that didn’t come through, I’m genuinely pretty excited and happy. Yeah, but in a good way because none of these things are real problems. A real problem is not having money to pay your bills or not having a place to stay or worrying about where your next meal is gonna come from. Which is how I was raised. I was very poor growing up, so all these problems . . . I call them “happy problems” because they’re nothing to really worry about. It’s a position of privilege any way you look at it, and I’m very aware of that. Gummo plays at 6:30 PM on November 18. After the screening, rather than have a Q&A, head down to The Whig and get a free drink with your Gummo ticket stub. Yates will be waiting there.